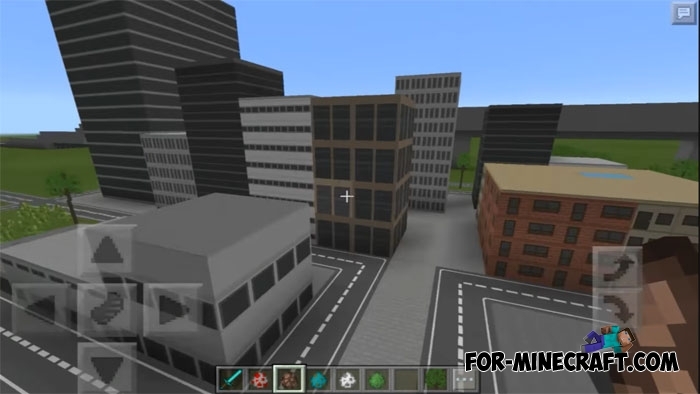 There are amazing texture packs that change the game beyond recognition, but Mini City is completely different. 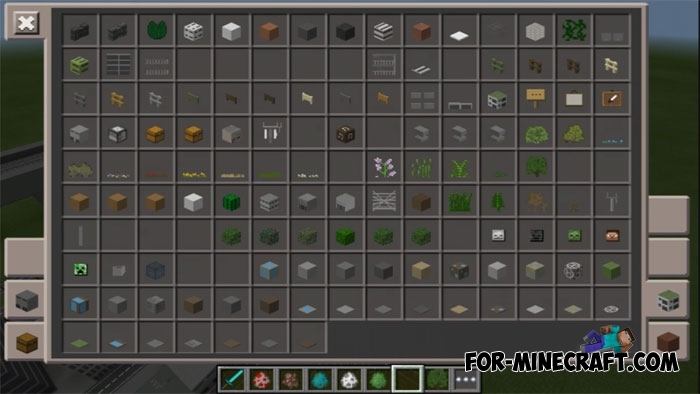 This texture pack replaces all building blocks with the ready-made building parts, as well as upgrading elements such as trees, poles, roads, rails and more. Each new block has a certain size and detailed appearance. 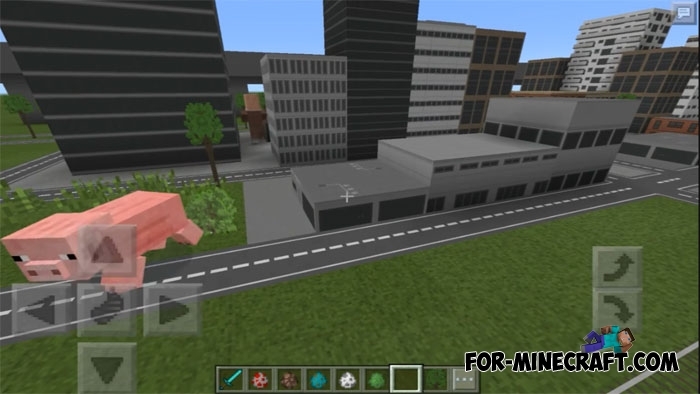 New buildin blocks and decorations were added to the second update. 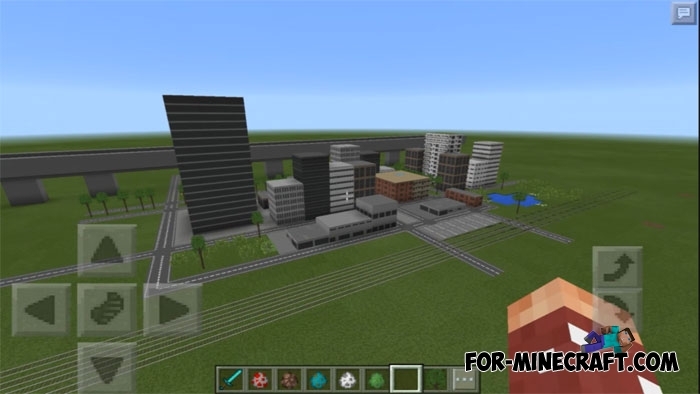 The Mini City Texture Pack allows you to build a huge metropolis like it works in SimCity. 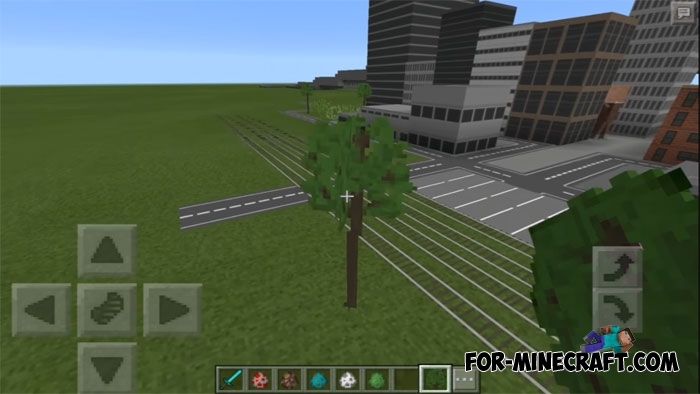 Indeed, any Minecraft PE world is infinite which can be filled with a small town. But at the same time, the mobs will remain the same, and to fix it download the Ant World mod that will reduce their size several times. What does a smaller city look like? 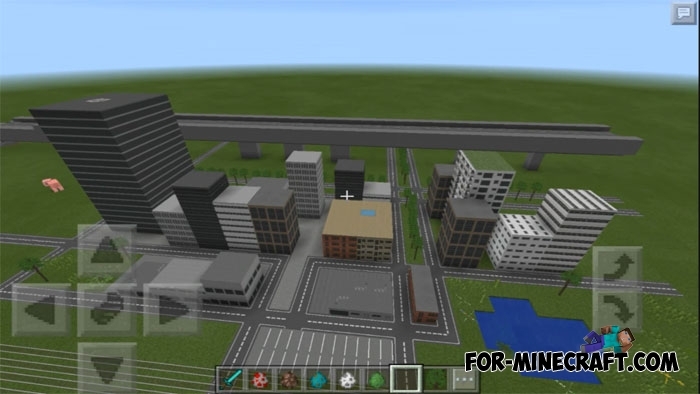 How to install the Mini City Texture Pack?